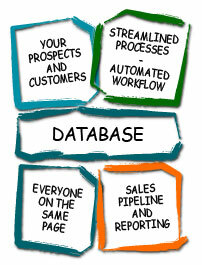 The process approach to CRM. It doesn't matter how well you do the wrong thing. On the verge, incorporated is now Your CRM Team. This page is provided for historical reference and may apply to software versions which are obsolete and no longer supported by the manufacturer. Your CRM Team no longer supports ACT! or ACT! add on products. 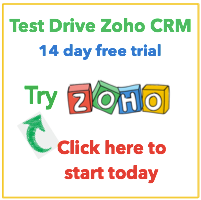 Your CRM Team supports Zoho’s 25 + suite of business applications, including CRM, Customer Support, Accounting, and Email Marketing. 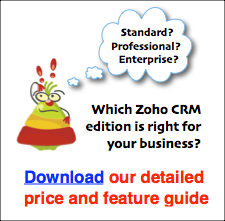 Please visit our home page to see how we can help you use Zoho to grow your business. Our services are designed to help the business owner or manager who’s frustrated that s/he’s losing sales because of ineffective systems and concerned that s/he doesn’t have sufficient insight into the business. Does that sound familiar? A properly designed customer relationship management system can help your business increase sales, retain customers, and improve productivity. However, before you begin, it’s important to understand that software is merely the framework that supports sales, marketing, and customer service. Our focus on process and people can guide you to the best solution to help you to achieve your goals and objectives. Our team has the experience to quickly understand the core issues and then recommend the best software and implementation strategy to support your goals. Your CRM Team will help you avoid costly mistakes and “get it right the first time”. We’ll help you implement the change management steps essential to user buy-in and user adoption. Contact us today for a free 30 minute consultation; we’ll get you on the road to enduring and profitable business relationships. Or call (781) 606-0433 and ask for the Chief Problem Solver.